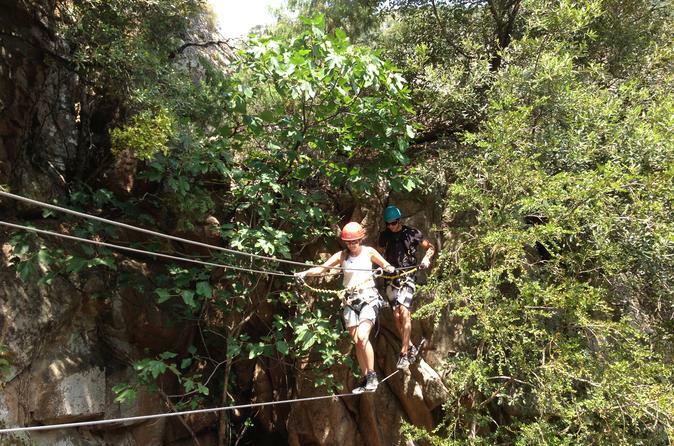 Add a little excitement to your Corsica trip with this 3-hour outdoor adventure experience. Climb up ladders, cross foot bridges and soar through the air on ziplines. Equipment CliC - iT® totally secure , a secure belay patented system that synchronizes the positions open / closed of the 2 connectors. The grip of at least one of the two carabiners is always guaranteed. The accidental release of two carabiners at once is impossible. Children under 18 years old must be accompanied by an adult practicing activity.